63,330.42 tons shipped to BSM to date. 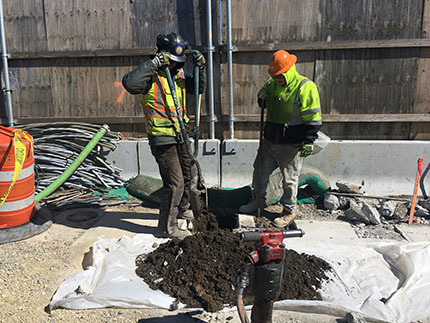 Completed cutting and removal of the support of excavation (SOE) wall sheet piles to five feet below final grade; and. The Action Limit of 150 ug/m3 for Particulate Matter (PM-10) [dust] was exceeded on March 21, 2017, at AMS-1 from 11:32 a.m. to 12:06 p.m. During that time, an excavator with a faulty turbo was creating large plumes of exhaust near the station. 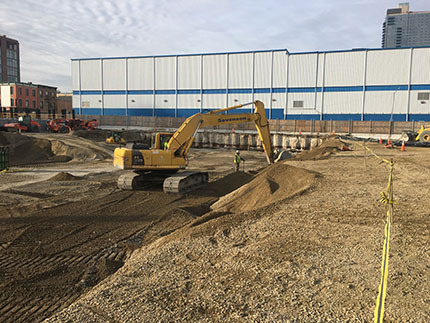 Once the excavator was moved, dust concentrations returned to operational conditions. The Action Limit for dust was exceeded on March 22, 2017, at AMS-2 from 2:25 p.m. to 5:04 p.m. During that time, high winds and strong gusts were creating plumes of dust from the clean select fill backfill. Due to icy conditions, water was not applied to site surface. Dust concentrations returned to normal operational conditions once the winds subsided. The Action Limit for dust was exceeded on March 23, 2017, at AMS-2 from 8:13 a.m. to 8:28 a.m. During that time, the Contractor was using a hoe-ram to break up pieces of concrete. 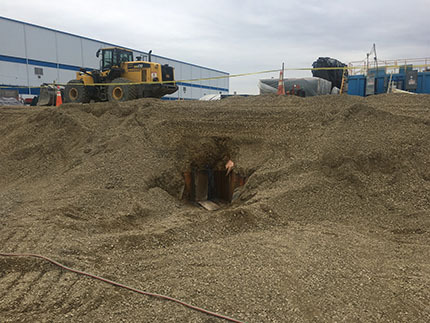 Sheets of plastic were laid over the pieces of concrete to complete the breaking, and dust concentrations returned to normal operational conditions. 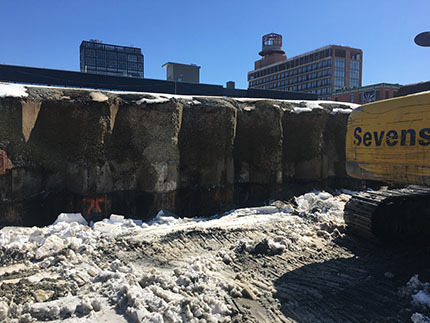 SOE wall sheet piles cut and removed to five feet below final grade. Clearing backfill along the SOE wall sheet piles to cut drainage slots. Drainage slots cut in the SOE wall sheet piles. Preclearing (nonmechanically) to five feet below ground surface prior to installing NAPL recovery wells. 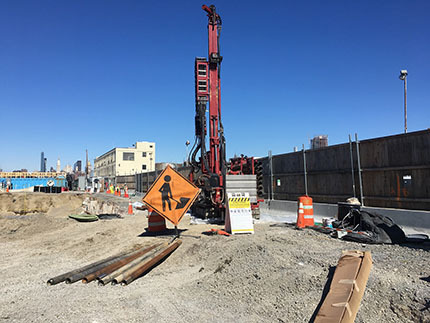 Drilling to install NAPL recovery wells along N. 12th Street. 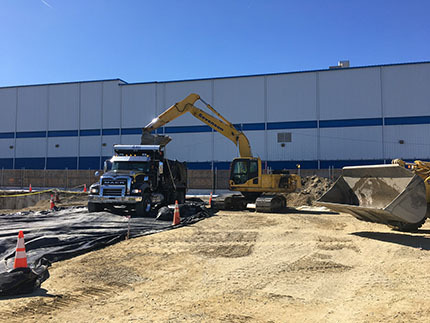 Loading lined trucks with impacted soils for shipment to Bayshore Soil Management for treatment and disposal.